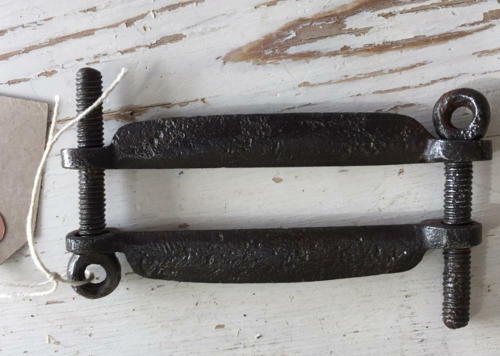 19th Cent Sheep Castration Clamp. I have not seen this design before. Quite a hideous thought walking round with this screwed tight down below!